By high energy ball milling techniques elemental blends are milled to achieve alloying at the atomic level. Nanocrystallites and / or nanoparticles far from equilibrium can be produced by mechanical deformation. 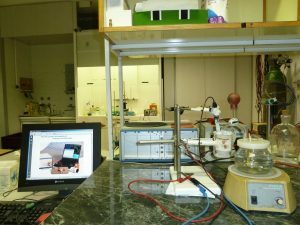 The technique enables to achieve high solid solubility, solid state reactions and different phase transformations. Metal matrix and polymer matrix composites, polymer-polymer reactions are carried out. In case of brittle materials crashing procedures further activation of the surfaces can be produced. 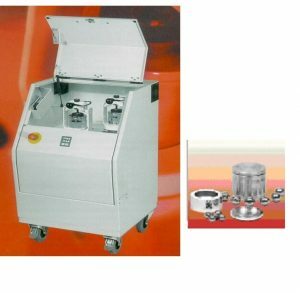 Grinding kits: carbide, stainless steel, sinterkorund (80-250ml), gas pressure and temperature measurement system (GTM). 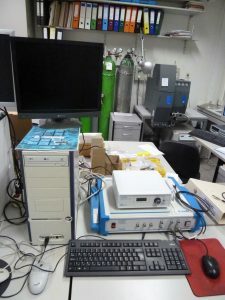 The equipment could be used in different aspects, including TG, DTA, DSC, TG/DTA, TG/DSC; the testing and control unit were combined with each other, it was very convenient, it could be controlled by one compute with SETARAM software. SETSYS 16/18 system can be used to maximum temperature 1600 oC; the lowest and highest resolution in weight was 0.4μg and 1μg, respectively. It can be use in defined atmospheres (air, oxygen, argon, synthetic gases). 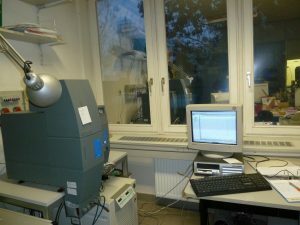 This instrument in addition to the metal applications can serve pharmaceutical, mineralogical, food, environment, etc.. motivated analyzes. 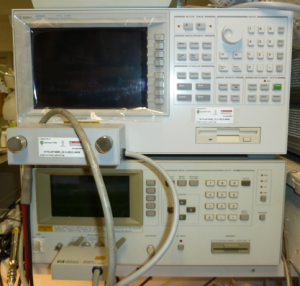 Agilent 347960A LCR data aquisition device: 6 1/2 digits (22 bites) internal DMM; max. 250 channels/second scan speed, AC/DC voltage and current, resistence, frequency and period measurement, 12 channels. The size of the internal useful space: Ø65×150 mm. The accuracy of the set temperature in the center, in equilibrium state ±0,5%. The furnace can be controlled by PID type digital system. Temperature, heating rate, gas filling and evacuation can be operated by HAGA KD48P type of control unit. Electrospinning uses an electric field to draw a polymer solution from the tip of a capillary to collector. 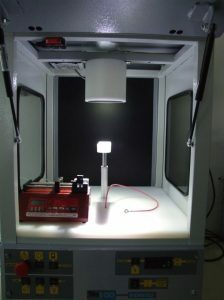 A voltage (0 to 40 kV) is applied to the polymer solution, which causes a jet of the solution to be draw toward a grounded collector. 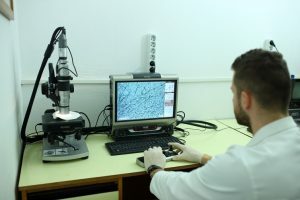 Potential method for preparation of that is nanometre range fibres from different materials and conductive polymer, metals, carbon, functionalized nanostructures, ultrathin films and various composite materials like a polymer, metal and organic compound. The Keyence VHX-2000 Optical Microscope is equipped with 20-2500X zoom lens. Such a high magnification combined with an active anti-vibration stage makes the equipment excellent for 2D imaging or 3D modeling. Address: H-1116 Budapest, Kondorfa u. 1.